The advisory spans the entire coast from the Lower Mainland, Vancouver Island and Gulf Islands to Haida Gwaii and the North Coast. 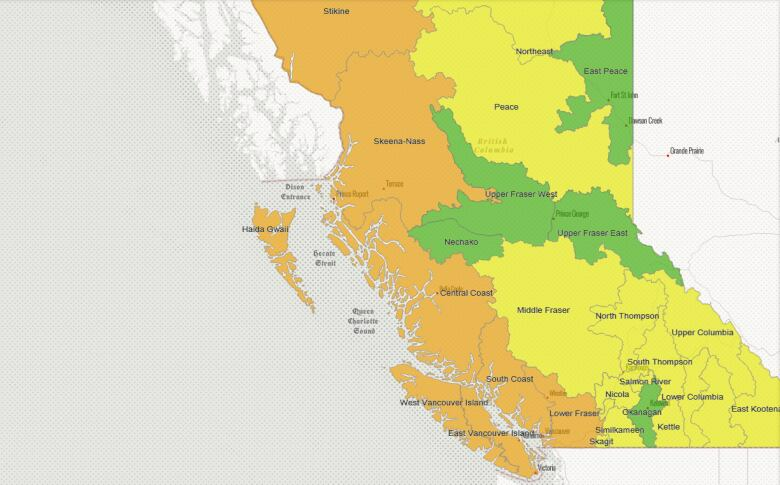 The province has issued a drought warning for the entire B.C. coast after an extremely dry spring and little precipitation. Valerie Cameron with the Ministry of Forests, Lands, Natural Resource Operations and Rural Development says the area has been given a level three drought rating, one below the most severe drought rating possible. "Level 3 is very dry," Cameron said. "Streams are starting to dry up. Water levels in lakes are starting to drop. Groundwater levels are starting to drop. You can see the beginnings of impacts on fish and ecosystems, [and] on water users' availability to get a full amount of water." Cameron, who is the manager of B.C. 's water stewardship program and coordinates the province's drought response, says the levels aren't yet as severe as 2015, when a level four drought was announced. 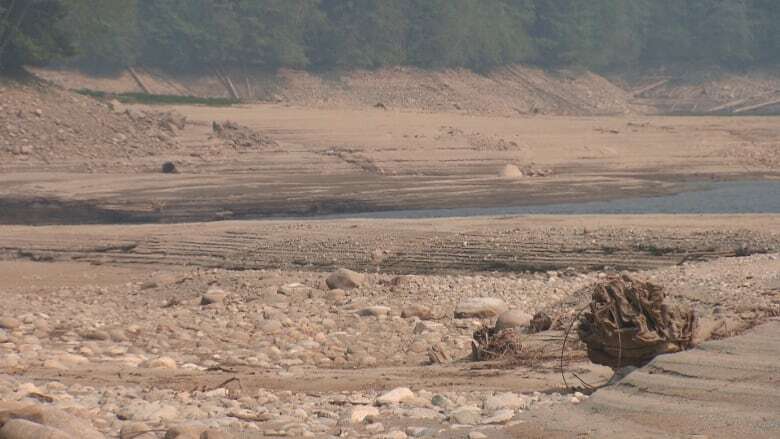 "June in many communities was a fairly wet year, but this total absence of precipitation in many parts of the province, especially coastal B.C., is causing those water levels to drop," she said. "This year ... it's the coastal areas that are the most impacted. The Interior is for the most part fairly normal. It's getting a little bit drier, but even the southern Interior is fairly normal." Cameron says they are currently relying on people to voluntarily restrict their water use when they can. "We would prefer to rely on voluntary water conservation. But we do have some regulatory tools to use if we need to. If we get to that stage, we'll be in full communication with any of the water uses that may need to be regulated." Cameron says different municipalities along the coast are affected by the drought in different ways, depending on what water sources they can rely on. Megan McKee, the environmental manager with the North Salt Spring Waterworks District, said 6,000 residents rely on entirely on rain and their lakes for its water supply. "It's very dry on Salt Spring Island. We had one millimeter of rain in July and our lake levels are declining rapidly, especially Maxwell Lake," McKee said. While the island does face chronic water supply shortages, this year is different. "Maxwell Lake is much lower … it's actually lower than it's ever been for this time of year in our records. We're more than halfway into our storage, and we don't start to refill until late October or November." Cameron says people should check with their municipality on local water bylaws and watering restrictions.